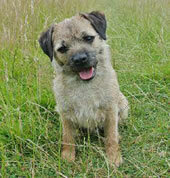 my beloved little cross terrier for the past year & boy does he have a great time! As a parent that works in London I neither have the time, nor the energy , to walk our dog when I get home. James has been a great asset & their time together also gives him a chance to socialise with other dogs. after whilst we are at work." Dogs require daily mental and physical stimulation to keep them happy and more importantly, healthy. 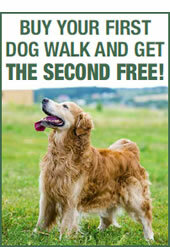 A walk gives them the opportunity to socialise, play with other dogs and explore somewhere new. Combining dog ownership with the stresses and strains of modern life can sometimes prove demanding - after a long day at work all you really want to do is sit down, relax and unwind with your loyal four legged friend. and company that it needs when you are not available by offering a Monday to Friday dog walking service. TN17 Dog Walking is fully insured, including public liability insurance, care custody, and control cover, loss of key cover - references available upon request.